BONASIL A+ Light is low viscosity vinyl polysiloxane (VPS) correction impression material with optimized thixotropy to ensure easy handling. Its exceptional elastic recovery and dimensional change together with its extra hydrophilic properties are essential characteristics which provide high accuracy in impressions. BONASIL A+ Alginate Free is a medium viscosity vinyl polysiloxane (VPS) impression material suitable for all alginate applications. The innovative A-Silicone Bonasil A+ Alginate Free combines the assets of VPS materials such as exceptional detail reproduction, elastic recovery, and dimensional stability with the properties of traditional alginates. It is also ideal for creating temporary crown and bridge impressions in preparation for the use of Bright Temporary C&B. 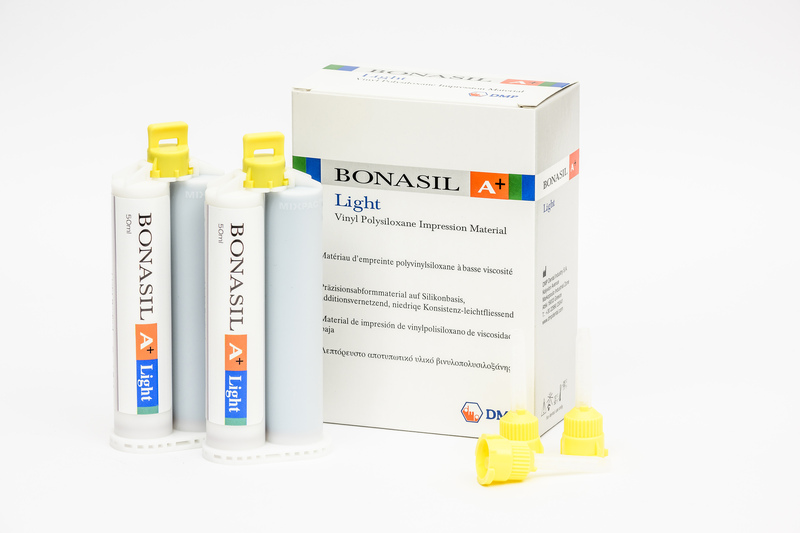 BONASIL A+ Light Extra is a super low viscosity vinyl polysiloxane (VPS) correction impression material with optimized thixotropy to ensure easy handling. Its exceptional elastic recovery and dimensional change together with its extra hydrophilic properties are essential characteristics which provide high accuracy in impressions. 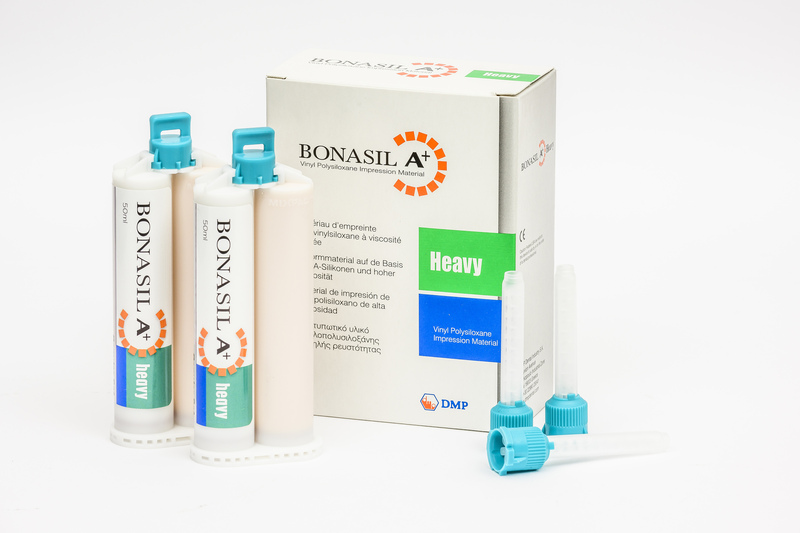 BONASIL A+ Heavy is a high viscosity vinyl polysiloxane (VPS) preliminary impression material with excellent carving properties. The advanced surface technology (extra hydrophilic) along with the exceptional thixotropic characteristics makes Bonasil A+ Heavy an ideal impression tool in the hands of all dentists and especially the implantologists. 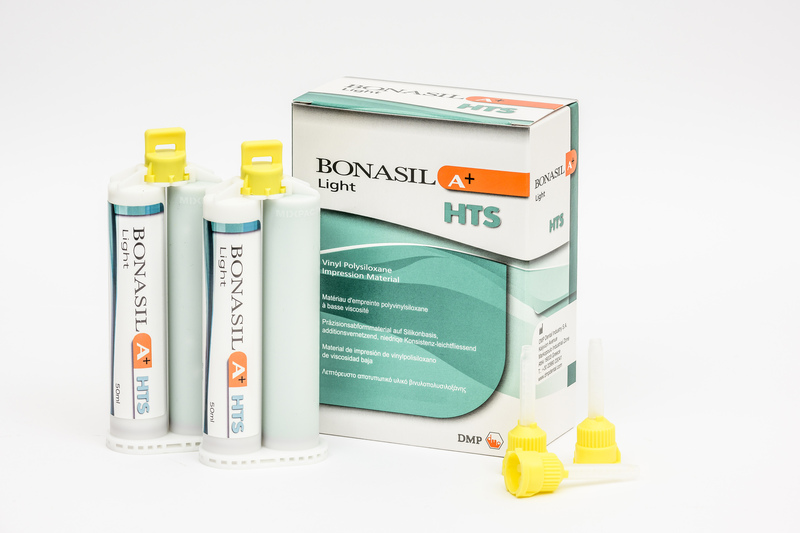 BONASIL A+ Light HTS is a low viscosity vinyl polysiloxane (VPS) impression material with exceptional characteristics. Its highly accurate impressions are a result of its superior wettability due to its extra hydrophilic properties. The extremely high tear strength values show resistance to tear guaranteeing superior impressions upon removal from the mouth.